De toma de aire. - Hecho de GFK (fibra de vidrio). Todas las partes están prepintadas, listas para pintar. - Resistente al clima y temperaturas extremas. 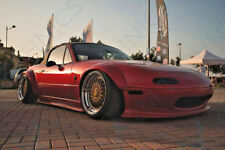 Bodykit includes Designed for Mazda MX-5 NA MK1 1990-1998. 2x Front over fenders (70mm wider at one side). 2x Rear over fenders (100mm wider at one side). Front lip. 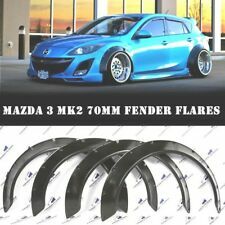 Check out our other rx8 custom parts. Mazda RX7 EPR RB Style Rear Diffuser. 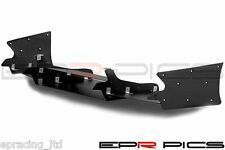 Item: EPR RB Style Rear Diffuser. Model: Mazda RX7 FD3S. and our experience staff will do our best to help. Model: Mazda RX7 FD3S. 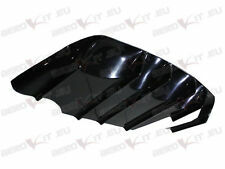 Item: Mazdaspeed style rear Spoiler with carbon Spoiler Blade. Made with Fibre Glass & Carbon Fibre. and our experience staff will do our best to help. Competition Clutch Ultra Light Weight FlyWheel for Mazda RX7 FD3S & Mazda RX8 231BHP Model. For RX8 198BHP Model You will need to install a RX8 231 Clutch in order to fit the Light Weight Flywheel. AEROKIT SPEC R2 DIFFUSER. The Aerokit Bodykit fitting challenge @ Drift Allstars Wembley 2011 - YouTube. ALL AEROKIT© products MADE IN THE UK. See an Aerokit bodykit bumper being manufactured. FITS: MAZDA RX7 FD. – Anti-UV gloss clear coating for a long lasting shine and protection. – 45 degree weaving. 05-200 Wołomin. Abmax Adam Litwiniak. -Embalado en cajas fuertes. - Resistente al clima y temperaturas extremas. - Hecho de GFK (fibra de vidrio). Todas las partes están prepintadas, listas para pintar. Die letzten Seitenschweller von Nippontuning. Mit Materialprüfbericht. Made from fiberglass in a glossy black or white gelcoat. Welcome to the sale of these blade splitters great for track,race or road use with universal fitment to most bumpers made from fiberglass in a gelcoat black or white grossly finish and well made . Fitment very easy using bolts and washers throw splitter and return edge on your bumper you can also use support rods if needed , not supplied in kit we can also produce these in real carbon fiber at costs if needed . Will ship 3-5 working days after payment is made if outside mainland uk asked for postage quote as it varies thanks for looking . Item: EPR RB Style Aero Wide Body Kit. Model: Mazda RX7 FD3S. Front Bumper, Front Lip, Front Fenders Set, Side Skirts Set, Rear Fenders Set, Rear Spoiler, Rear Under Diffuser. and our experience staff will do our best to help. 1x Fuel Flap. We carry no responsibility if our products are in-compatible with your vehicles and cause mal-function to your vehicle or to our products. 2x Side Skirts. Hence fitting by professionals is recommanded. Arceaux de securite, Mazda MX5 ? Arceaux de securite, Mazda MX5 - Arceaux de securite en inox poli, sans sauter, sans danger de rouille par vent comme aux arceaux chromes. Look elegant et noble. Important pour type NB: enlever le filet coupe-vent original! inox poli montage facile . Mazda Rx7 FC3S 1989-1992. The Counter Weight is Needed when replacing OEM Flywhee to Competition Clutch Light weight & Ultra Light Weight Flywheel. Competition Clutch Counter Weight. EPRacing is An Authorised Dealer for Competition Clutch. Model: Mazda RX7 FD3S. Item: Duck Tail style Spoiler. Made with Fibre Glass. and our experience staff will do our best to help. Mazda Rx7 FD3S. The Counter Weight is Needed when replacing OEM Flywhee to Competition Clutch Light weight & Ultra Light Weight Flywheel. Competition Clutch Counter Weight. EPRacing is An Authorised Dealer for Competition Clutch. AEROKIT SPEC D1 BODYKIT. The Aerokit Bodykit fitting challenge @ Drift Allstars Wembley 2011 - YouTube. ALL AEROKIT© products MADE IN THE UK. See an Aerokit bodykit bumper being manufactured. 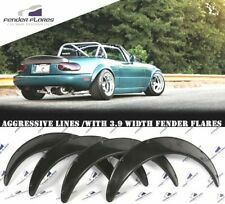 INCLUDES FRONT AND REAR BUMPER, SIDESKIRTS L R.
Mazda Rx7 FC3S 1989-1992. Contrapeso embrague de competición. El contrapeso es necesario al cambiar OEM 100S a competencia embrague ligero y Ultra Light peso volante. EPRacing es un distribuidor autorizado para el embrague de competición. Mazda MX5 Miata NA / NB Model 1.8L Engine. EPRacing is An Authorised Dealer for Competition Clutch. Fits:BP & B6 1.8 Engine. General condition. AEROKIT SPEC JD FULL WIDE ARCH KIT. Impact areas are reinforced with extra fibers to ensure more durability on any impact. The Aerokit Bodykit fitting challenge @ Drift Allstars Wembley 2011 - YouTube. EPRacing is An Authorised Dealer for Competition Clutch. 500 mile Break in is required with this clutch. General condition. Here we have our new custom fitted mazda 2 sport front blade splitter made from fiberglass in a gelcoat glossy black or white. you can fit them using small bolts and nuts throw bumper and splitter and even support bars if needed. Mazda MX5 Miata NA / NB Model 1.8L Engine. EPRacing is An Authorised Dealer for Competition Clutch. This assembly is suited for up to 150% increase in torque capacity. Fits:BP & B6 1.8 Engine. General condition.